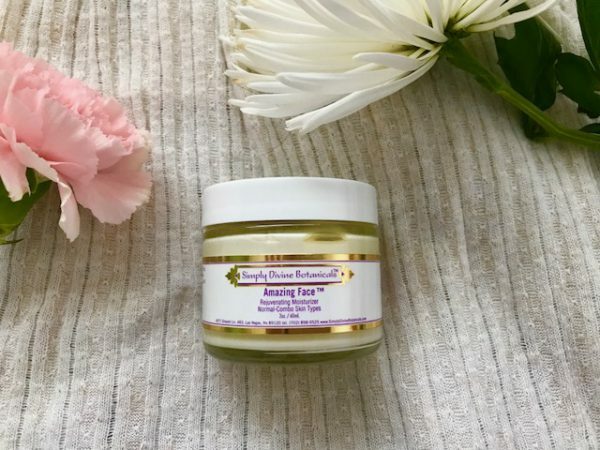 The “perfect” moisturizer leaves your skin silky smooth with a glowy, fresh, dewy, or matte looking skin (depending on your skin needs) and keeps you hydrated and balanced throughout the day. Now, add to that a moisturizer that does not leave a greasy film, breaks skin out, irritates, clogs, nor cause any redness. Further, a natural, non-toxic moisturizer with beautiful botanical rich ingredients is also a must! 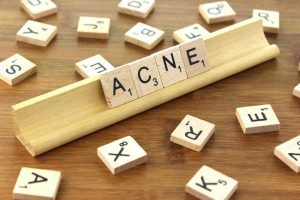 Hmm…where would you find such goodness, especially if you’re already acne prone and experience all the unwanted points from the above paragraph? I know the feeling – trying all the natural derived moisturizers on the market only to be let down with either not enough hydration, or too much hydration (oil slick – hello! ), or even odd-looking redness and congested pores staring back at you. 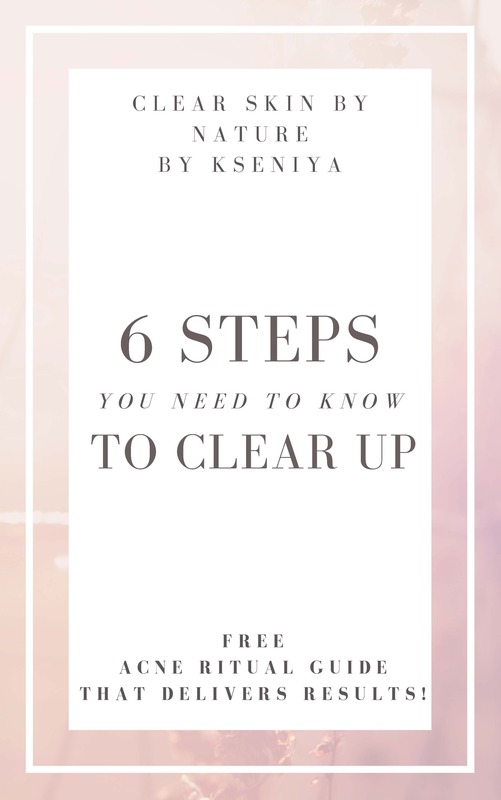 If you wear makeup, this will challenge you, as a “perfect” moisturizer will let your skin breathe while letting your foundation + concealer sit beautifully on your skin throughout the day. Cuz hey, there’s a lot to say about a great moisturizer sitting pretty under your makeup or should I state making your skin pretty and healthy underneath all that coverup! 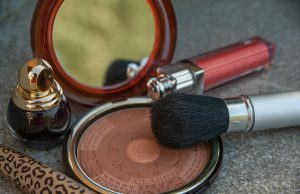 The way makeup looks over a moisturizer usually results in a good or a bad makeup day. I think I’ve found the one, or two of what I consider the healthiest (clean ingredients here!) and result oriented moisturizers for all skin types! 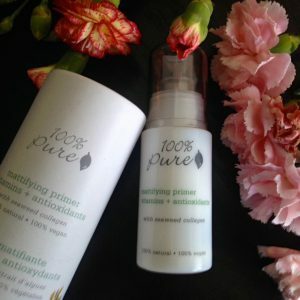 In this post, I’ll cover my trusted, all-natural skincare brand and its background as well as the gorgeous moisturizers and all their benefits + performance. 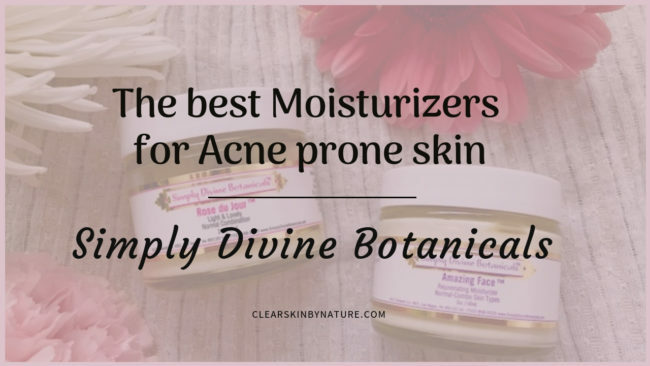 About two years ago, my lovely coworker introduced me to a beautiful and very zen line of natural and simply effective skincare and body care products – Simply Divine Botanicals. 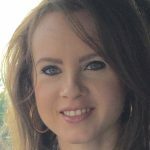 The owner, Barbara uses Reiki Healing techniques to infuse all products from her line (skincare, body care) with positive energy and above all, love and gratitude. Reiki is a Japanese healing technique that uses one’s own energy to promote healing of the body, mind, relaxation and stress reduction. 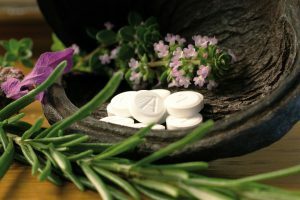 I’ve personally taken Reiki class six years ago (I’m certified level 1), so Simply Divine Botanicals piqued my interest, especially being natural and toxic free. Each product from SDB includes the very first ingredient: unconditional love & gratitude – how cool is that? This is obviously coming from being energized from the Reiki practice. So, you know you’re putting something very special on your beautiful face each day + night that can only promote a lovely and even more effective product. All products are derived with all-natural sourced, organic ingredients and contain absolutely NO preservatives, synthetics, mineral oil, or other toxins that are added to mainstream skincare brands. You read more here on dangers from conventional makeup/skincare/body care brand ingredients. All debunked! The following 2 moisturizers are categorized for either an oily/combo/normal complexion or for dry/normal skin types. So, all skin types benefit! This is what I’ve used as my morning go to for the past 2 years and absolutely love, love it! Although, sometimes I will use a facial oil in the mornings – depends on the foundation or tinted moisturizer to follow. 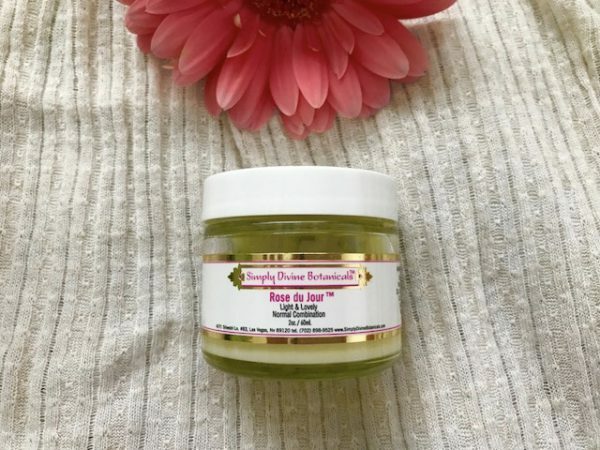 Rose du Jour is like a hydrated drink for your skin! It goes on beautifully with a silky touch of cucumber gel, which promotes healing from itchy, red, inflamed, and acne prone skin + virgin coconut cream (somehow this particular coconut ingredient doesn’t break my skin out, while other brands with coconut do), which is known for its anti-inflammatory and anti-bacterial properties – perfect for those suffering from acne. Rose du Jour feels incredibly light and refreshing, making it amazing for a day time moisturizer and lets makeup glide effortlessly over it without any oily residue. Consistency of it reminds me of a whipped gel that looks like a cream, if that makes sense. 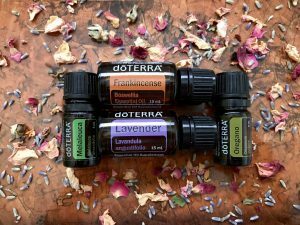 A lot of essential oils are used here: Rose Geranium, Rosewood, Bergamot, Roman Chamomile, Bulgarian Lavender, Vanilla, & Rose Absolute. All of these magical oils promote a healthier, even toned complexion with a healing and calming effect to problematic skin. The scent of this one smells like a light Bulgarian rose. Its light, yet very lush, but does not linger after application. I find rose du jour to be perfect for oily, combo and normal skin types. Dry skin gals would need more moisture because this does leave a hydrated yet almost semi-matte feel to the skin. Rose du Jour comes packaged in a 2 oz. glass jar and retails for $28.95. The second recommended moisturizer from Simply Dive Botanicals is another fave of mine for those crazy, cold weather days – or for those microdermabrasion or micro needling post days where skin is peeling + recovering + balancing itself from professional esthetic treatments. You can read my comprehensive review of micro needling here and microdermabrasion review here. Consistency of amazing face is heavier than rose du jour and caters to those with drier complexions – although, normal skins will love this one as well. It does have that rich, moisturizer feel a bit and goes on the skin just a tad oily but will sink in after a couple of minutes. Ingredients feature organic aloe vera leaf, which is a known anti-inflammatory that calms redness that comes from acneic and rosacea skin types. 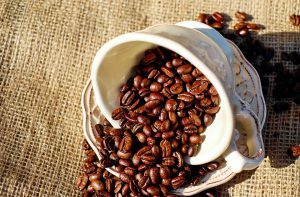 MSM is a unique ingredient which is a natural occurring sulfur compound found in nature that promotes scar tissue regeneration and evening out uneven skin texture. It also plumps the skin! Organic apple cider vinegar + witch hazel astringent are other star ingredients that help with balancing skin tone and ph level of the skin – meaning, if skin is dry, those ingredients will work in harmony to hydrate. On the other hand, if skin is oily, both ingredients will balance to produce less oil. The scent of this one smells of lovely + light lemongrass. It’s such a pleasant scent, but I do find rose du jour to be more fragrant. Amazing Face comes packaged in a 2 oz. glass jar and costs slightly more than Rose du Jour at $39.95. To wrap it up – these 2 gorgeous moisturizers have been repeatedly purchased by me in the last 2 years. I cannot for the life of me bear a week without em’! Hey, sometimes I use facial oils, but that’s more like twice a week. And I have to add that I’ve tried many, many different moisturizers from clean, green, non-toxic brands and Simply Divine Botanicals puts them all to shame with their impeccable and very carefully chosen ingredients + the Reiki touch of healing promoting energy that flows to each product. Have you tried Simply Divine Botanicals? Do, share below!